A lake in Kingsford? Really? Not familiar with this area of Sydney, this supposed lake has me stumped. I Google the location of Cafe Lakeview at Gardens-R-Us to find that the garden centre is perched on the edge of The Lakes Golf Club, one of Australia’s prestigious private golf havens, which incidentally is peppered with lakes. From the deck of the café there is indeed a lake view, but in the distance. Surrounded by so much greenery and pottered plants, it’s hard not to shed the city and the stress that comes with living here. I’m so spoilt for choice that I don’t know whether to sit on the deck and relish the view of the distant lake or sit in the courtyard next to the fountain, among the greenery. This visit comes from a recommendation via The Devonshire Tea Guide’s Facebook page, so I have high hopes for the scones. The cake-like scones are fresh and light, slightly sweet with perhaps a hint of vanilla. The jam on the other hand is below average, tasting sickly sweet and of a low quality. The cream is fresh, but way too light as it’s out of a cream whipping dispenser as opposed to being stiffly whipped by an electric beater. 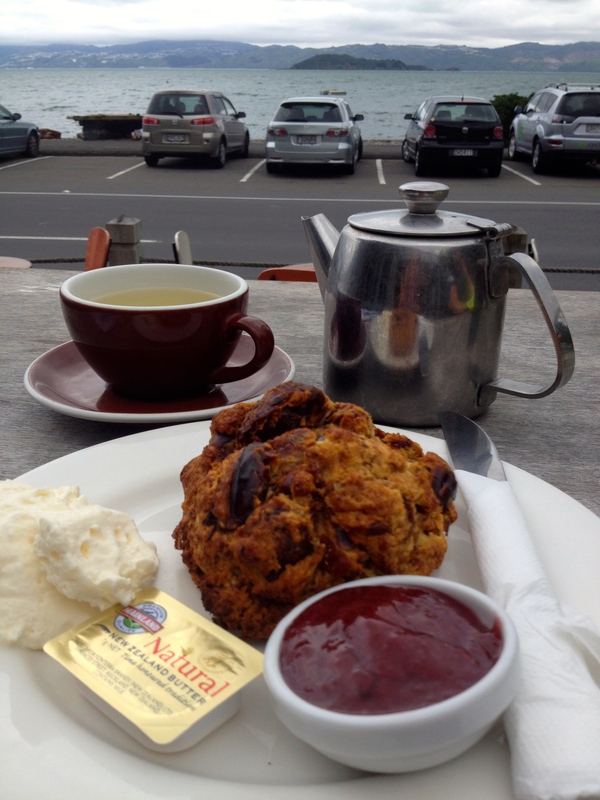 But with good scones that are served in such a lovely environment, I think I can forgive the below par jam and cream. Tea: A small variety of tea pouches served in a teapot. Overall: Just what a weary city clicker needs – a double dose of greenery and peace. When I stumble upon Mall Coffee Corner or rather MCC in Westfield Warringah Mall, I’m surprised to find scones on the counter. Sprawled out on the ground floor adjacent to The Athletes Foot, the cafe is a convenient stop for shoppers who need to rest their weary feet or are in need of a caffeine hit or energy boost. What you’ll get is a standard Devonshire Tea, with the only stand out being the T2 tea. 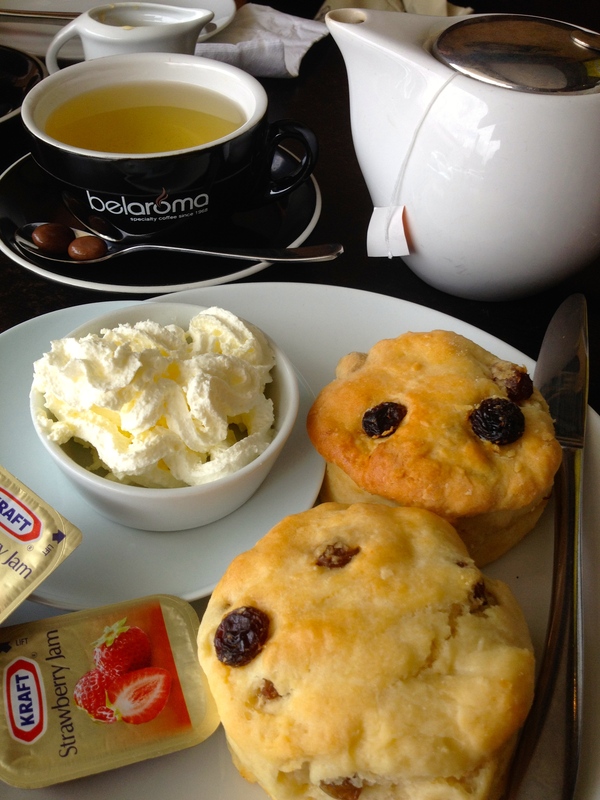 The scones are also fresh and surprisingly enjoyable, but nothing more than average. There’s not enough jam in the sachets for the ample sized scones and the cream is super light and sweet, straight from the can – sigh. 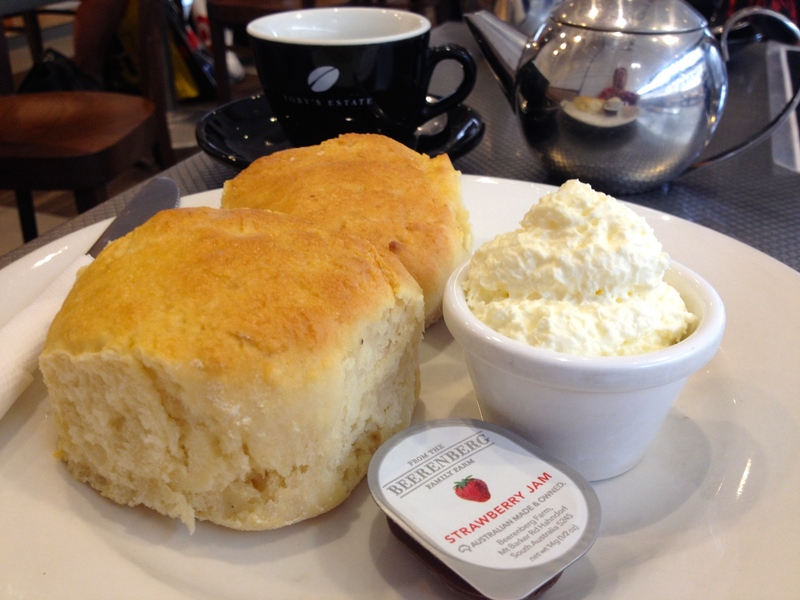 I look forward to the day when suburban malls offer a quality scone, jam and cream spread. Tea: A small selection of T2 loose-leaf teas served in a very small pot. Overall: A popular mall cafe. Before I visit Guellen’s Chocolatier and Patisserie I call to make sure they serve scones. I even go one step further and ask how they are served. Confirming that they come with jam and cream gives me the green light to drop by. The small chocolatier/patisserie/café is just off busy Old Pittwater road and although I am with a local friend of my mine, she doesn’t know it. The cafe doesn’t feel decidedly chocolate or cake inclined, with only a small choice of cakes, a box or two of chocolates on the counter and some bags of chocolate covered treats on offer. After a thorough scan of the cakes, I can’t find the sultana scones I had earlier asked about, but they tell me they have them out in the kitchen. When the spread arrives, it’s minus the cream with a few sachets of butter added to the Kraft jam. Thinking they may have forgotten, I ask about the cream. It seems that the husband and wife team aren’t on the same page about their scones so I’m offered thickened or aerosol can whipped cream. If only the wife could whip me up the thickened cream and all would be a lot better! 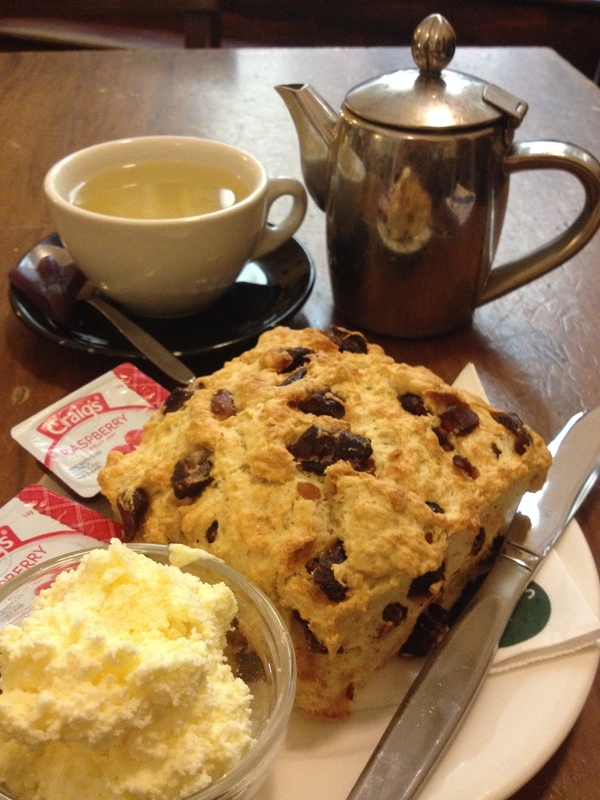 After all of that, the sultana scone is okay, with lots of juicy fruit though out. 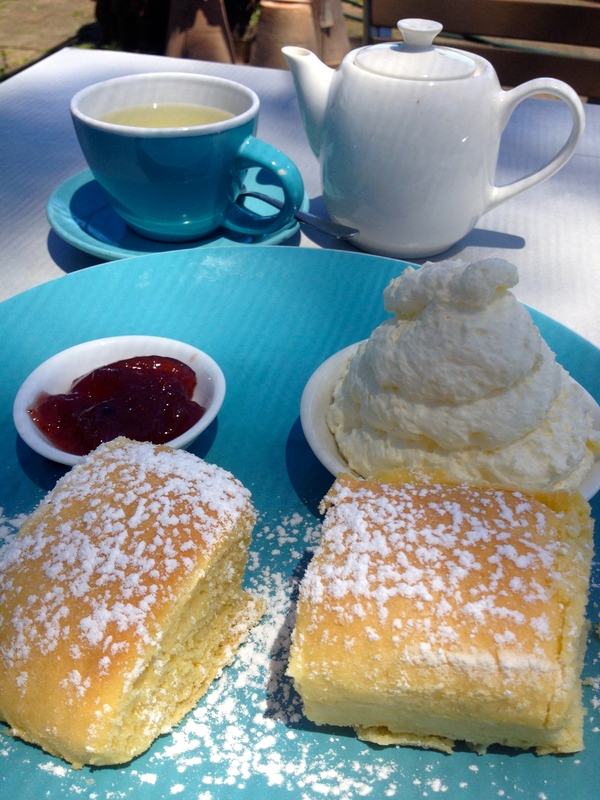 Because I’ve waited for the cream, the edge of one of the scones becomes rock hard. Happy with the Tea Drop tea, but maybe you might want to try one of their chocolate-based drinks. Tea: A small variety of Tea Drop pouches served on the side of a pot of hot water. Overall: An uber friendly cafe that’s best for chocolate things. Since my last visit to Burnt Orange four years ago, the only big change I notice is the recent replacement of the downstairs gift shop with a function room/wedding venue. Shopaholics need not hang their heads though as there is still plenty of shopping to be had upstairs, with at least three rooms of the former Mosman Golf Club’s clubhouse jammed with giftware, clothes, tea ware, Christmas trinkets and a whole room reserved for children’s goodies. The sandstone structure is sensational and is nestled in bushland up the road from Mosman on the picturesque Middle Head. Scones are a firm fixture on the menu with a choice of plain, date, wholemeal and mixed berry. It’s a tough choice so I ask the maitre d’, who recommends the date scone. He also reminds me that they are served at room temperature and since this is the case, I am glad to be here in the morning, as I recall on my last visit the scone being dryish by the afternoon. The single large scone arrives accompanied with relatively thick Chantilly cream and the delicious Burnt Orange housemade raspberry or mixed berry jam. At first the scone seems tough but once I start pulling it apart it’s loaded with dates and spice, and if you are more partial to the light and fluffy scone, you may be disappointed. However, considering the scones have been on the menu for at least four years, I don’t think Mosmanites are bothered one bit! Tea: A variety of loose-leaf teas served in a good-sized teapot. 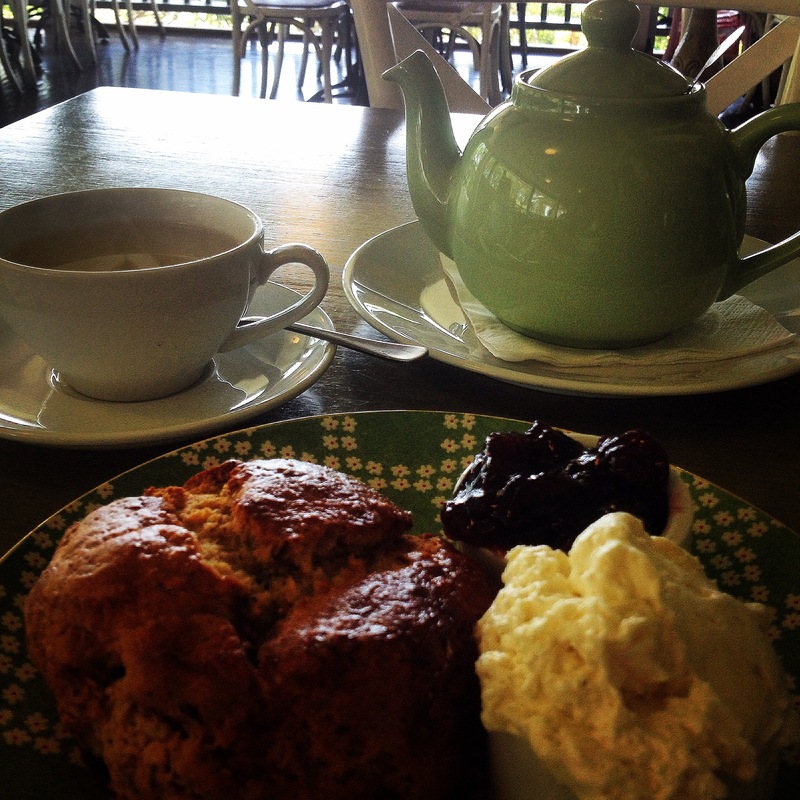 Overall: An exquisite setting coupled with everything the modern scone loving person needs.